Many couples only spend 30 minutes of quality time together each day. I spend more quality time than that with my dog. How do you expect to stay connected to someone with whom you never communicate, have fun, share, laugh, pray, cry, dream? Is it any surprise we grow distant, when we spend more time with our barista than our spouse? If you want positivity in your marriage, it will require an investment of time. Find time to tend to your marriage. Find time to spend together. If you want to stay connected, you have to actually spend time connecting. “Confess your sins one to another” is a good rule for relationships. It prevents problems from being swept under the rug, only to be brought up years later as emotional ammunition. Take responsibility for the wounds you’ve inflicted and the part you play in conflict. Without confession, there can be no forgiveness. And without forgiveness there can be no healing. Let’s go back to Bob. One of the reasons you despise Bob is because he doesn’t listen. Talking to Bob is like talking to a wall. He’s present, but you can tell nothing’s getting through. He doesn’t seem to care and shows no interest. He’s puts in his time, until he can say what he wants to say and get out. To open the floodgates of positivity in your relationship, strive to show genuine interest in the stresses, ups-and-downs and dramas of your partner’s world. 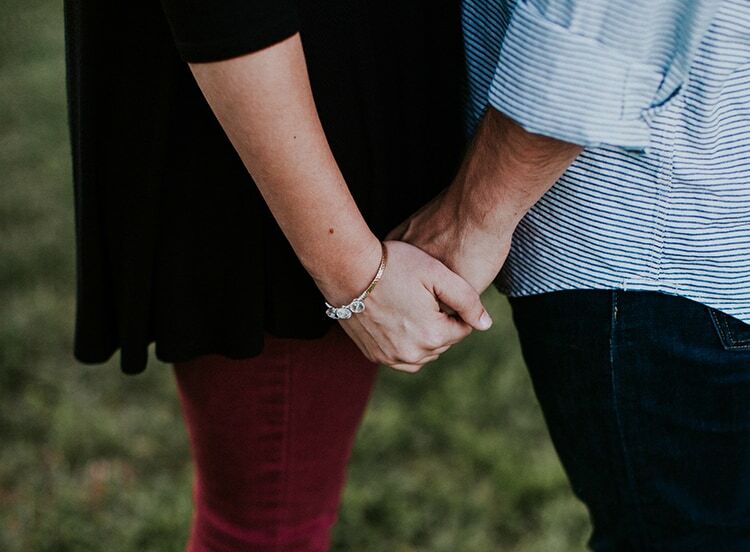 Be engaged with your partner’s world and show empathy with your body language—maintain eye contact, tilt your body toward your partner, ask questions, put yourself in their shoes, feel with them. Nothing makes a person feel more rejected than naked vulnerability followed by the feeling of being unheard and misunderstood. Strive to make your partner feel you hear them, you understand them and you’re with them. There is a right way to fight and a wrong way. I believe fighting is a sign of a healthy relationship. It’s often the relationships with no conflict I worry about. Zero conflict can mean the partners are checked out and don’t care anymore. But if you fight, it may be a sign you’re in a struggle to keep the relationship alive. You’re seeking understanding and connection. You may just be going about it the wrong way. Total eradication of conflict and disagreement is not a realistic goal for relationships. But healthy conflict management is not only realistic, it’s necessary. The implementation in your marriage of the skills needed to manage and negotiate conflict successfully will be the difference between fruitful, productive positive conflict and destructive, wounding negative conflict. There’s a reason the Christian model for marriage is the relationship Jesus has with the Church. In certain instances, partners must choose to put the needs of the other before their own. The needs of the marriage, before their own. This means relationships may require self-denial for the sake of your mate. There won’t always be a payoff. There won’t always be something you “get out of it.” There won’t always be a sense of the arrangement being “fair.” And that’s OK.
Strangely, it’s often this very otherness which attracted you to your partner in the first place. The unique quirks, endearing idiosyncrasies, interesting viewpoints were all attractive while dating! Now in marriage … not so much. Last year, I read the story of a girl in New York who bought a wedding dress, rented a venue, invited family and friends to witness her marry herself. I hope she and herself are happy, but most of us desire a fulfilling relationship with another. Which means we must respect the individuality of the other. This may look like respecting the choices, friends, unique dreams, opinions, preferences and insights of the other and actually valuing them for what they are: an intrinsic part of the person you thought enough of to marry. The quickest way to kill positivity in a relationship is to communicate disrespect and contempt for the experience, story and personhood of the other. Your partner’s differences can be seen as complementary to your own, or a challenge. Choose complimentary. Your marriage can fulfill, reward and enrich or it can exhaust, impoverish and wound. In most relationships, there will at times be a little of each. But during the times of exhaustion, there must be something to carry you through to the other side—a general sense of positivity about the relationship which can override the wounds of the moment. My hope is that you begin to put these suggestions into practice and in so doing, feel more like you’re married to your best friend instead of that difficult Bob.